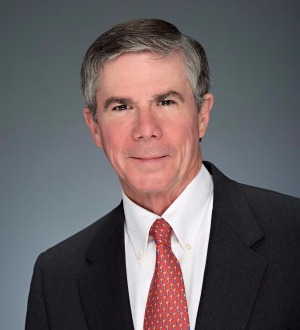 Doug Jones is a shareholder in the Tallahassee, Florida office of Carr Allison. He has over 35 years of trial experience and currently defends physicians, nursing homes, hospitals, dentists and other health care professionals in malpractice suits across the state and before state licensing agencies. He has extensive experience defending health care providers against claims involving complex medical issues, punitive damages, fraud and allegations of associated corporate misconduct. Mr. Jones currently serves as Chair of the Florida Defense Lawyers Legislative Action Committee. He has lectured at numerous professional seminars including those related to Florida Defense Lawyers, DRI and has lectured on professional witness testimony at the Florida State University Center for Professional Development. Additionally, he has been published by the Florida Bar on representation of physicians in malpractice cases. Recently he was selected for inclusion in The Best Lawyers in America© 2018 in the area of medical malpractice law. Mr. Jones is admitted to practice in all courts in Florida as well as before the United States Supreme Court and the United States District Court for the Northern and Middle Districts of Florida.